Majid Derakhshani (born 13/09/1957 in Sangesar, Iran) is an acclaimed Iranian musician. He was born into a family of artists from the Iranian province Semnan. During his studies of string instruments and composition at the University of Tehran, the legendary Mohammad Reza Lotfi became his teacher. Subsequent to his emigration to Germany he founded the Nawa Musikzentrum in Cologne; the primary and most active center for Persian classical music outside of Iran. 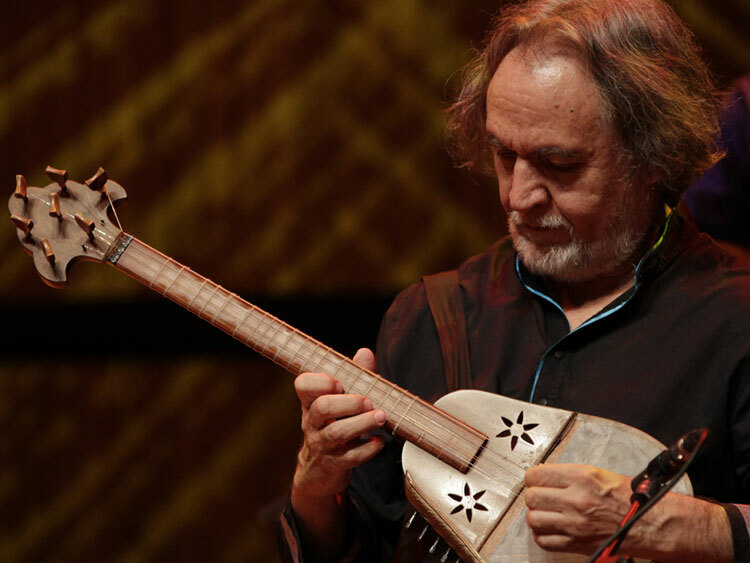 In Iran Majid Derakhshani is deemed to be amongst the best on his instrument – the tar. Hence he carries the venerable title Ostad, denoting him as a master of his instrument. His virtuosity has been celebrated worldwide in festivals, concerts, radio and television productions. 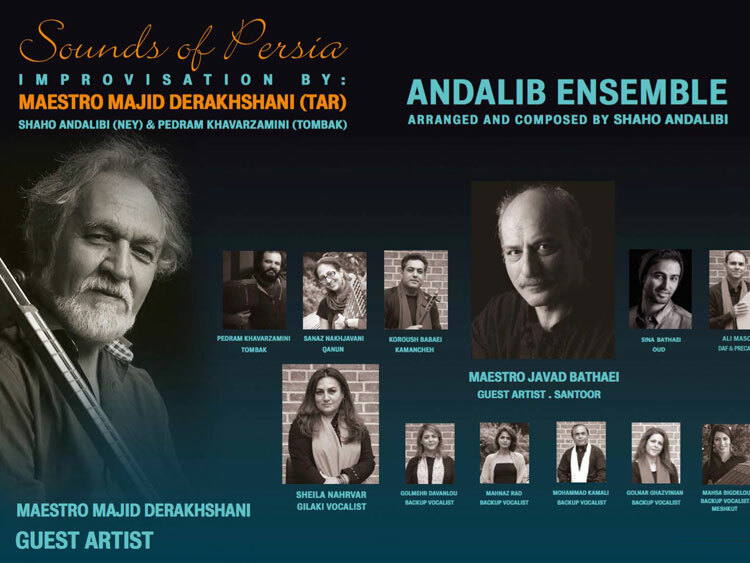 He has composed for myriads of international musicians, such as the greatly renowned Iranian singer Mohammad Reza Shajarian (Album Dar Khial). Majid’s declared ambition is to familiarize western culture with Iranian classical music. He views himself as an ambassador of these magnificently mystical melodies which themselves lead dynamic lives of their own where change is certain and compulsory. Thus, a novel musical style developed, that spices oriental music with European elements. The subliminal magic of his harmonies enthral unswervingly, enchanting people of all ages. Especially in a time replete with one-dimensional and superficial stimulation, this music may serve to enlighten us.